Alessandra Ambrosio is considered to be one of the most beautiful women inhabiting Earth. Looking at the photos of her, I can hardly believe that she is actually 32 years old. The fact that she has two children also puzzles my mind a lot. How can one, taking into account all the facts I mentioned above, still look so drop dead gorgeous? There must be some secret that this bewitching woman keeps. Whatever it is, she is not ready to share it with us. And all we have to do is just enjoy another set of pictures featuring Brazilian supermodel. This time it is a photoshoot for H&M’s Divided collection of jeans. I believe H&M is amongst the millions of people who adore this brilliant woman. She is so beautiful and charming that it is actually hard not to love her. Victoria’s Secret Angel, National Ambassador for the National Multiple Sclerosis Society, face of a number of fashion and fragrance brands, mother-of-two – how in the world does she manage to combine all these tasks? Well, seems like she succeeds in whatever it is that she is up to, so I am not surprised with H&M’s choice at all. 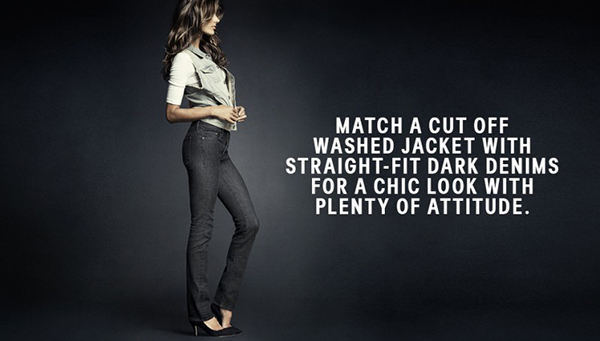 For Divided denim lookbook, the beauty sports a wide range of saucy jeans, all different in their style. Boyfriend jeans paired with a tight leather jacket in black and a white top look so effortlessly cool that I am already thinking of paying a visit to the closest H&M department. I would love to create a look as stylish and trendy as the one Alessandra presented here. Another item that is worth being mentioned is a pair of light-wash slim jeans with a loose black sweatshirt tucked into the waistline. It would be a perfect ensemle to wear during daytime as well as to some fashionable party. 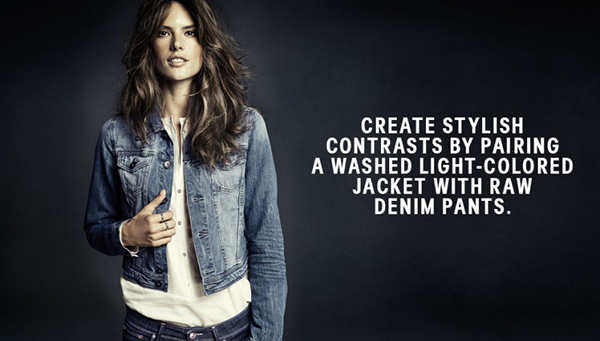 Check out the gallery to see more pictures of both splendid Alessandra Ambrosio and stylish pieces of H&M’s Divided denim lookbook.